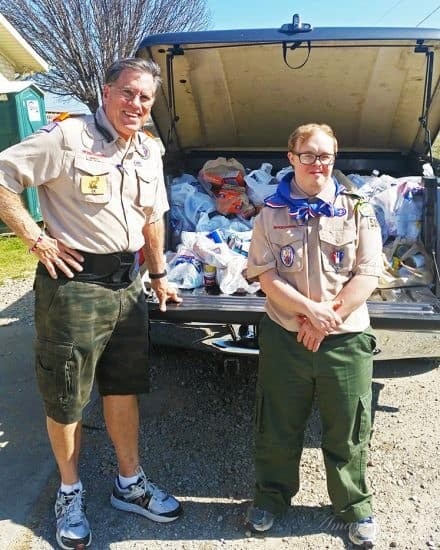 The weather was perfect this week as Amazing Grace Food Pantry Volunteers served 115 families with a full weeks supply of food. Imagine a very full grocery cart to each family – all THANKS to YOU for contributing your prayers, your time and financial support. $5 a month from members of a single neighborhood makes a huge difference in the lives of the less fortunate who struggle to have nutritional food. 485 People this week don’t have to worry about the grocery expense or where their next meal will come from. That includes 204 children whose home life will be a little less tense. 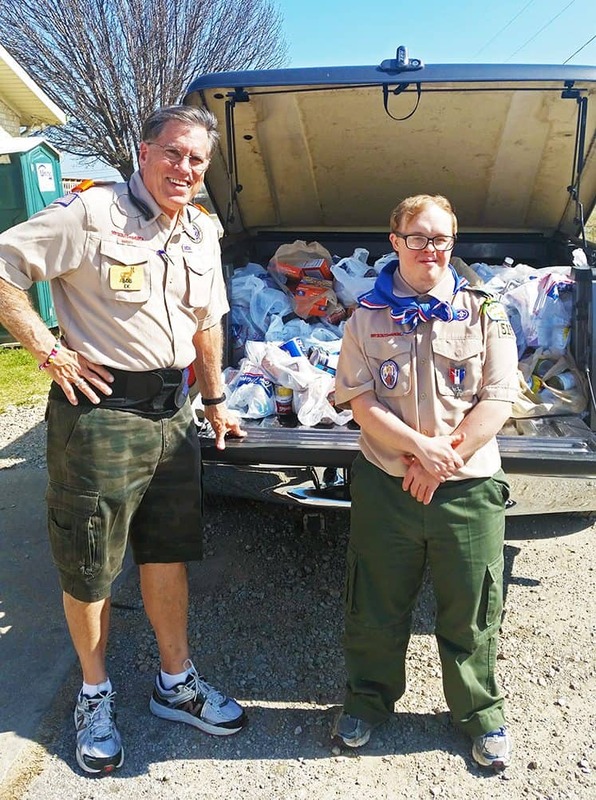 The Boy Scouts donated over 700 pounds of canned goods today for the Annual Scouting for Food this weekend! So thankful to these young people and their dedicated parents to help the community in so many ways! 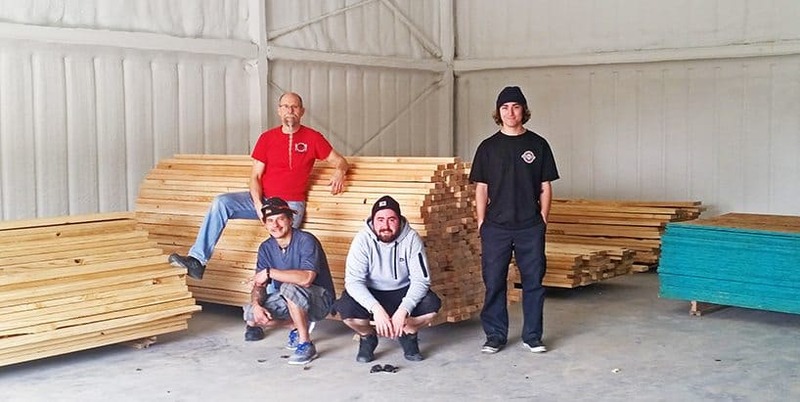 Building Update: Bloomfield Homes donated a huge load of lumber to help Amazing Grace Food Pantry’s new building move along. 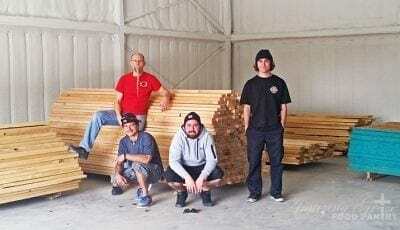 Four volunteers Friday KILLED It by manually moving all of the lumber indoors. It’s just amazing to see the passion to feed the less fortunate and to help people blossom in so many neighbors and volunteers! Next up – fixing a water leak Monday then in the next few week running electrical to new building. Exciting to see it all come together in HIS time! We welcome you to come for a tour any Tuesday or Saturday!